If this is you, you’re doing it wrong. From day one, when you first think ‘I could maybe buy a house if I worked hard and saved a lot’, you’re ready to have a finance broker on your side. A finance broker’s knowledge of the loan and property market will help you work out how much you will be able to borrow, which determines the size of the deposit you will need to save. They will also be able to help you develop a realistic timeline to save your deposit and find ways to pay down debts faster, and provide creative solutions that will help reach your goals sooner. You may also be pleasantly surprised to find that you are closer to your goal than you thought. The tools in a finance broker’s belt that can help you realise your dreams more quickly and efficiently include lender’s mortgage insurance, specialist lending products, land loans and, for investors predicting significant rises in property prices, interest-only loans. More importantly than just being allowed to provide these products, an MFAA Approved finance broker can help you work out whether they suit your situation and goals. For example, while buying land now to build on later lowers the cost of your initial investment and can be an opportunity to take advantage of a dip in land prices, there is no point in it if you will not be able to secure construction finance down the track. So speak to an expert now. Call Geoff, a MFAA Approved finance broker, who can help you take the first steps to owning your home. Wondering why your finance broker is contacting you six months after you’ve settled on your property? The simple answer is that a finance broker is with you for life. You’ve scored the home of your dreams with the help of your finance broker and you’ve just popped the bubbly to celebrate. Congratulations! When the bottle’s empty and you’ve settled in to your new home, you’ll notice your finance broker is still in your life, and you might wonder why – after all, they got you the loan and earned their commission. Why would they still care how you are going? They know it’s a good idea to keep in touch every six to 12 months. After all, you should be reviewing your current loan every year and your finance broker can let you know how you’re tracking along. Building a long-term relationship with your finance broker is a good idea as he or she will know the ins and outs of your circumstances and what you want for your future. Your finance broker will also stay on top of your account and, with expert industry knowledge, keep his or her ear to the ground for any new products or better interest rates that would benefit you. As well as expecting to hear from your finance broker every six to 12 months, there are a few times you should contact them. This is because if your life circumstances change, it may impact your mortgage. For example, you may be welcoming a baby into your home, you may receive a higher salary, your income may be temporarily reduced or you may decide to get married. Otherwise, you may want to refinance to a better a deal or consolidate your debts. You may also want to access the equity that you have accumulated in your home for a renovation, an investment or a holiday, all of which your finance broker can help you with. Even the most seasoned of investors benefit from staying in touch with their broker, who can help them maximise returns later down the track. And if you decide to invest in property for the first time, your finance broker can help look for investment loan options to get you started. Save your legs and call a loan expert. How do you match a loan and lender to your needs? Rather than running around finding out the details of each and every lender and loan, draw on the expertise of a Finance Broker. One of the benefits of working with a finance broker is the extensive menu of loan options they have at their fingertips. But given such a wide choice, how does your adviser narrow down the options to find the right loan for you? MFAA Approved Finance Brokers sometimes have access to more than 30 different lenders. These include the big four banks, second-tier lenders such as Macquarie Bank, Bankwest and Citibank, and a raft of niche lenders such as Liberty or Pepper, which offer loan options for people who may not meet the lending criteria of the top banks. Many MFAA finance broker give each client three loan options and makes sure the options meet their requirements across a range of criteria. If the borrower has no specific requirements, finance brokers will most often take into account interest rates, how fees impact the life of the loan and how portable the loan is. Speak to Geoff, an MFAA Approved Finance Broker, who can match you to the perfect loan. If you were paying 5.37 per cent interest on a principal and interest home loan of $600,000 for a 25 year term. Your monthly principal and interest payments per month will total $3,648.00. If you swapped to a mortgage at a lesser rate of 5.24 per cent, however, you’d pay just $3,602 a month. Over 25 years, that saving each month would add up to 13,800 in total savings. You can also compare fees and charges to ensure they won’t offset any savings in interest over the life of a loan. The Australian Security & Investment Commission’s MoneySmart website has a useful mortgage switching calculator that can help you assess overall costs. Refinancing can be a serious financial decision with a number of variables to consider. A good broker can help establish the type of loan that may work best for you, how much you can borrow and any extra features you want. They can then gather information from many different lenders and help assess the costs and benefits associated with each loan. One of the risks of refinancing your home loan is that you may need to pay Lender’s Mortgage Insurance (LMI) to your new lender. If switching your loan means you will need to pay LMI again, it may not be worth refinancing. Your broker can also help you look at alternate options to consolidate your personal loans and credit cards into the one loan. This could help you in lowering your monthly repayments, or help you keep your repayments on time and even save you interest in the long-term. The key is to speak to an accredited mortgage broker who usually has access to many lenders and their products and has the expertise to help you through the refinance application process. Harry Triguboff is remarkably calm about Australia's worst real estate slump in a generation considering he's got more at stake than perhaps anyone on the planet. "We have our ups and downs and we keep building," Triguboff, 85, said in an interview from his office overlooking George Street, one of the busiest in Sydney. The developer, who's worth $US9.2 billion ($13 billion), according to the Bloomberg Billionaires Index, plans to push on with expansion, even as the Sydney property market slides deeper into the doldrums. "If prices fall, I'll buy the land cheaper," Australia's second-richest person said with a wave of his hand. "As long as you don't lose your cool. You have to look at things in the longer term." Triguboff, known as 'High-Rise Harry,' has been in it for the long haul. He's earned the nickname after more than half a century in the business. His closely held Meriton has built about 1 of every 10 apartments in Australia's biggest city and more than 75,000 along the east coast of the country since he completed his first project at age 30. For most of that time, the property market has enjoyed strong growth. But not now. National home prices fell 5.6 per cent in the year through January, the biggest annual decline since 1983, according to data from CoreLogic. Hardest hit has been Triguboff's home turf Sydney, where prices are down 12 per cent from their mid-2017 peak. Taking a step back, Sydney has been caught up in a property downturn sweeping the globe. Manhattan's median condo price has dipped below $US1 million ($1.4 million) for the first time in three years, Hong Kong home values recently endured their longest losing streak since 2008, and prices in London's prime central neighbourhoods are 19 per cent below their 2014 peak. Ben Udy, an economist at Capital Economics, expects Sydney prices to keep dropping until mid-2020, eventually bottoming out at 20 per cent below their peak. Apartments could bear the brunt of the downturn, after a building binge that's left a glut of units, he said. But Triguboff has weathered slumps before, most notably in the mid 1970s when debts almost crippled the business and led to an insistence on funding projects from his own reserves. He's overcome tougher obstacles. Triguboff fled to Australia as a boy from a Russian community in China after World War II. After arriving in 1948, he then spent time in the UK, Israel and South Africa before moving back to Australia in 1960. He ran milk delivery and taxi businesses before building his first block of units in 1963. Triguboff remains as active as ever. Current projects include Pagewood Green in Eastgardens, Sydney's eastern suburbs -- the biggest project he's undertaken -- and his first beachfront tower, the 75 level Ocean development on the Gold Coast. Despite the recent tumble in prices, Triguboff isn't slowing down. "We build at the same rate," he said. That confidence stems from flexibility in his strategy. Triguboff builds apartments for the sale, rental and short-stay markets, and changes the amount of stock made available based on where demand is strongest. Meriton has 9,000 units available for rent, Triguboff estimates, and he expects that to climb to 10,000 by next year. Its Meriton Suites division is the largest owner of hotel rooms in the country. "I don't care whether they lease or they buy," said Triguboff. "So where leasing is concerned we are very strong. I build 40 units a week and I can lease 150 units a weeks. So where is the problem?" Growing the business in the cooling market will be difficult. Constraints on foreign buyers add to the challenge, and a slowdown from China could be particularly problematic for Triguboff, whose brand of affordable high-rise apartments is a hit with migrants from the world's most populous country. Triguboff remains optimistic. "China has more than 1 billion people," he said. "And they love Australia. I think they love Australia as much as we love Australia. So there will always be enough of them that will buy." A sale of Meriton was considered in 2014, but five years later Triguboff remains firmly in control. His grandchildren Daniel and Ariel Hendler, both in their 20s, are involved in the family business and stand as potential successors to the octogenarian. Passing on his wisdom is important to Triguboff. "My grandsons, they understand everything," he said. "The real thing is how do you make things happen? I teach them how to make things happen." And what about his health? Triguboff describes himself as looking better than he feels. He said he had just one day off work through ill health last year. "How many did you have?" he joked. But measures aimed at protecting an economy from disaster can lay the groundwork for future disasters. The banking royal commission highlighted the lending excesses that helped fuel a property boom with the blessing of regulators and the Reserve Bank. Policymakers saw the property market as a vital support when the economy was threatened by the end of the mining boom and the global financial crisis. It worked too well. Led by Sydney and Melbourne, the combination of loose lending by banks, low interest rates, favourable tax laws and foreign investment created a boom the likes of which we have rarely experienced. So far so good, but like the property boom which went too far, the regulator-induced correction could overshoot with disastrous consequences for the wider economy. A collapse in property prices would see developers go broke, leading to job losses and pressure on the banks. Households, already constrained by high debt, rising costs and weak wages growth may become more defensive by cutting spending and saving more. This would have a knock-on effect to the broader economy because households make up more than half the economy. One thing property buyers or borrowers don't have to worry about is higher interest rates. Given the recent softness in the national accounts, there's a good chance the RBA will be revising down its growth forecasts to start the year. Most economists have pushed out their rate hike forecasts to early next year but predictions of a rate cut, which might have seemed confined to crackpots six months ago, now look respectable. At this point the jobs market is holding up, the economy is running around average speed, interest rates are low, households have not shut down and wages growth is picking up ever so slowly. As things stand, none of this seriously threatens the property market. The major domestic threats are fear itself and tighter credit conditions. New treasurer Josh Frydenberg, who has an election to win, is calling on the banks to loosen up. Banking regulator APRA has eased some lending restrictions, and the Reserve Bank governor has warned of the dangers of banks becoming too scared to lend due to the royal commission. Banks and their leaders have spent the best part of a year being pilloried by the community. We have heard countless apologies and admissions from bank bosses suggesting they've learned the error of their ways. The royal commission has exposed the naked truth about banking conduct and irresponsible lending. What many people now describe as a "lending crackdown" or "credit squeeze" is simply the banks behaving as they should, lending more responsibly and conducting thorough loan assessments. So don't expect the banks to rescue the property market. Their hands are tied and they've been burned too badly. Not by falling property prices but by public humiliation, the regulators and royal commission. It is a major reason property prices will continue falling. Property analyst with Digital Financial Analytics Martin North says: "Eighty percent of the impact on house prices is credit availability and that is now significantly tighter." "The royal commission has underscored what responsible lending actually means in terms of assessing loans, so the banks are now going through many more hurdles when it comes to lending, and that won't change," he added. Martin North says price falls in Sydney and Melbourne are halfway done at least. He expects prices to come off between 20 and 40 per cent with the major cities eventually dragging down all markets. Commonwealth Bank chief economist Michael Blythe sees a continuation of the price falls with the cities down more than the regions due to their much larger price appreciation. But the CBA considers the price correction two-thirds of the way through, with first home buyers and population growth helping to slow the decline. Martin North says the apartment glut coming on-stream in capital cities will offset population growth. Savings represent the biggest risk, according to Michael Blythe. Falling house prices may make consumers reluctant to cut their savings rate any further and that will have knock-on effects throughout the economy, but he dismisses the doomsayers. He says, "areas dominated by investors have seen the biggest price falls because they've been targeted by the regulator for financial stability reasons". "If the property price slump is a response to regulation changes", he says, "then it's not an indication of some sort of fundamental imbalance in the housing market that gives you the more catastrophic outcomes that people tend to worry about". Research group CoreLogic has issued its forecast for property markets around the country and it is not expecting a property crash. It is expecting a glut of new apartments to come onto the market in Sydney and Melbourne this year and is already seeing a growing proportion of these developments settling at lower prices. An experience it expects to become more widespread. But on the other hand it's counting on increasing migration and improving affordability to help support the market. What's in store for each State? The first three steps involve tried and true principles to becoming a millionaire. Most millionaires are goal-oriented and hard workers – they commit to increasing their skill set to build wealth for a long-term plan, according to author Chris Hogan, who studied 10,000 millionaires. This leads to the strong career income John spoke of. William D. Danko, the co-author of the best-seller The Millionaire Next Door, recently said in a Q&A with The Washington Post that you should create a lifestyle off 80 per cent of your income and save the remaining 20 percent. Just ask Dana Bull, a realtor and real-estate investor based in Massachusetts. After becoming a landlord in her early 20s, when she bought a condo and rented it out for extra income, she now owns more than a dozen rentals and thinks that real estate is one of the best ways to build wealth. The Royal Commission into Misconduct in the Banking, Superannuation and Financial Services Industry is long overdue. The message is clear: the mortgage broker channel has near-perfect customer loyalty, while only one in three direct customers plan to return to their bank. But a cornerstone of relationship between brokers and their customer hinges on the value borrowers see in a “free” service. This time next year, your mortgage repayments could be lower, some analysts are predicting. Banks often justify raising the interest rates on their mortgage products by pointing to the rising cost of funding these mortgages. But several analysts have told RN Breakfast funding costs for banks look to be heading down over the next six months. "People with principle-and-interest, owner-occupier home loans will be paying less this time next year than they are today," Shaw and Partners banking analyst Brett Le Mesurier said. The reason why banks are not moving to cut rates now, analysts argue, is because of the big swings we have seen on share and bond markets recently. Those swings are related to developments on many major international macroeconomic and geopolitical fronts, including the US-China trade war, a debt hangover in Europe and the possibility of a hard Brexit. It has made lending a more risky activity, and created a sense of nervousness in the money markets. That has seen banks charging each other more to lend to one another. "What's happened at the moment is that funding costs have increased, therefore the chance of them cutting their home loan rates across the board is very small at the moment," Mr Le Mesurier added. All four big banks confirmed to RN Breakfast the cost of sourcing money has gone up in the past few months. Westpac told the ABC, "Funding costs are up since November", while ANZ said, "Funding costs have increased again in recent months, resulting in an increase to overall bank-funding costs compared to three months ago". However, while banks draw on a number of different money pools to fund home loans, they mostly rely on deposits. Mozo has a database of Australian bank deposit rates. Mozo banking analyst Peter Marshall said the cost to banks of holding these deposits is currently very low. "There are plenty of products out there that are offering really terrible returns at the moment," Mr Marshall said. The average online interest rate is roughly 1.35 per cent and that is down 0.05 percentage points over the past 12 months. If you add on bank fees and charges, and consider how inflation erodes the value of money, some savers could actually be worse off by putting their money in the bank. "Absolutely, you could be going backwards," Mr Marshall said. "If you're not earning over 2.5 per cent then, yes, you're probably going backwards in your savings." UTS business professor Warren Hogan believes that is likely to remain the case for some time. "[Deposit rates are] historically very low," he observed. "They're almost at levels we've never seen before and I'm not sure if we're going to see much of a material change in that." Anne Anderson from UBS manages roughly $30 billion of clients' funds in the bank's fixed-income department. She agrees with Mr Hogan. "Banks actually don't need more deposits and that's why rates are falling very modestly," she argued. "Actually I wouldn't say they're rising or falling, they're broadly unchanged. "The banks are flush with cash at the moment because we've all heard the talk that credit growth is slowing and therefore they don't need as much money, so that's one of the reasons why the rates, if they've fallen, have fallen, for that reason." But banks do not just take money from depositors to provide home loans. They also draw on what is known as the wholesale money market — massive pools of money sourced from other financial institutions and professional investors. Australia has a wholesale money market and there are money markets overseas as well. Professor Hogan argues the cost of borrowing from those markets, given what he predicts will be less anxiety on global markets later this year, will see funding costs fall. "So I think bank-funding costs will start to come down over the course of the next six months or so." RN Breakfast asked the major banks about their upcoming costs. The nation's biggest lender, the Commonwealth Bank, said it was just three weeks away from releasing its half-year financial results and so it could not comment any further. ANZ noted price-signalling legislation meant it also could not give additional commentary. RN Breakfast was still waiting for a written response from National Australia Bank. It is important to note that, for some of the smaller lenders, rates are actually increasing. The Bank of Queensland, for example, raised rates last week and said the decision was based on continuing funding-cost pressures and intense competition for term deposits. Anne Anderson warned even if the big four banks were in a position to cut rates, they would be tempted to only drop them by a small amount. "So when we're talking here about the banks easing back, it could be of the order of 10 basis points or something," she said. However, she added any kind of mortgage relief would be welcomed by households. "The Reserve Bank still believes in the cash-flow mechanism," she observed. "If it was required, reducing interest rates supports household balance sheets. "It gives them a cashflow effect, in the absence of wage increases and enables people to pay off debt." For the big four banks, though, the biggest wild card remains the Reserve Bank. While deposit rates are expected to remain very low, and there is a chance the cost of other funding sources will come down, if the Reserve Bank lowers its official interest rate there will be enormous social pressure on the banks to also follow suit. Warren Hogan believes there is a one-in-four chance of a rate cut. "The housing market is the key here," he said. "If it continues to deteriorate in the first half of 2019, like it did in the second half of 2018, I think we will get a rate cut. "The falls we have seen in house prices so far, I think the economy will be resilient to — people will look through 5-to-10-per-cent declines in the value of their homes. "If the falls become 15 or 20 per cent, then I think that's going to affect peoples' spending. "They're going to start to think, 'I've just lost five years of savings worth of wealth in the last year, because my house price has fallen, and I therefore am going to delay buying a new car, buying a new fridge, going on a holiday'. "If that affects a lot of consumers — bearing in mind 70 per cent of people own a home, with or without a mortgage — then it could become a macroeconomic event, in which case the RBA would need to respond. "But, at the moment, I'm still of the view the housing market will stabilise in the next few months, but really all eyes on those auction markets come February." Mortgage brokers “make mortgage markets work better”, increase choice and competition between lenders, and help drive “better service levels and competitive mortgage pricing”, a new report from Deloitte Access Economics has found. The Value of Mortgage Broking, a new report from Deloitte Access Economics (DAE), has been released today (24 July), outlining the evolution, growth and role of mortgage brokers in Australia; the impacts broking has on the economy; the consumer value proposition of the industry; and the lender value proposition. Commissioned by the Mortgage Broking Industry Group (MBIG)*, the report comes off the back of increasing scrutiny of the sector (following on from ASIC’s review of broker remuneration, the Productivity Commission’s focus on broking in its review of competition in the Australian financial system, and the financial services royal commission). The DAE report aims to provide an “up-to-date body of information” about the industry “for the purpose of informing policymakers and the broader community about the role mortgage brokers play in the mortgage market and the economic contribution of the mortgage broking industry in Australia”. the value proposition mortgage brokers provide to lenders. Pulling on data from a range of sources, including the Mortgage & Finance Association of Australia (MFAA), ASIC, the ABS and stories from The Adviser, the report also reveals new findings collected from a nationally representative survey of 1,635 mortgage brokers (both independent and those working in a group) and a focus group workshop with mortgage brokers, and consultations with industry participants (such as National Australia Bank, Heritage Bank, Liberty Financial, AFG, Connective and Pink Finance). Brokers that are sole traders earn an average income (after costs and before tax) of $86,417. A broker business with more than one broker reported average earnings (before tax) of $119,838. 73 per cent of brokers working in mortgage businesses work full-time. 90 per cent of sole trader brokers work full-time. 23 per cent of broker customers are first home buyers. More than half (57.3 per cent) of broker clients are residential owner-occupiers. An average mortgage broker has 13.8 years’ industry experience. 70 per cent of a broker’s business comes from existing customers (either directly or indirectly). The mortgage broking industry supported 27,144 full-time equivalent jobs in 2016–17. There are approximately 7,115 people employed in supporting roles in mortgage broking businesses. 70 per cent of brokers are credit representatives (and the remainder hold their own ACL). 64 per cent of brokers have education and training above their minimum entry qualifications (Certificate IV in Finance & Mortgage Broking). The mortgage broking industry contributes $2.9 billion to the Australian economy each year. Other findings included the confirmation that lodging loan applications and managing the process to settlement are the most time-intensive tasks of a broker (just 12 per cent of time is spent post settlement), while it also revealed that the average broker has access to 34 different lenders and uses an average of 10. The report also confirmed that “mortgage brokers sell more loans than lenders’ own distribution channels (e.g. through branches, mobile lenders and over the telephone)”, noting stats from the MFAA which showed that brokers’ share of new residential home loan settlements reached 55.7 per cent by value in the September 2017 quarter. Other insights included that mortgage brokers drive more competitive mortgage pricing, provide valuable services and offer greater choice for consumers. The report reads: “Overall, mortgage brokers make mortgage markets work better. They are intermediaries that provide consumers with information about the mortgage products available and the process to follow in applying for a mortgage. He added: “We were asked to devise a new fact base to feed into the public debate that has been going on around the industry (and about the financial services sector in general) lately. There has been a lot of scrutiny, so you need a good fact base to make sure that that debate is carried out in an informed manner but also there is an evidence base for policymakers. Speaking of the report, the CEO of the Mortgage & Finance Association of Australia, Mike Felton, told The Adviser the he believed there were four key takeaways from the report: the fact that brokers have, on average, 13.8 years of experience; the fact that nearly two-thirds have higher than required education levels; that brokers have access to (on average) 34 lenders but use 10; and the new finding that the average sole operator earns around $86,400. He added that he hoped the report would “assist with addressing the shortfall in knowledge of what brokers do, the role they play and the value that they produce”. In addition, Finance Brokers Association of Australia (FBAA) executive director Peter White said: “Customer satisfaction is critical for our industry. With so much referral and return business, brokers know they must do everything they can to help their customers secure finance that works for them. And it’s clear that this is happening — more than 90 per cent of home buyers are happy with their mortgage broker’s performance. Mr White told The Adviser that he hoped the report would provide a “much clearer, succinct understanding of what the industry really looks like”. The head of the FBAA concluded: “It was intentional that we used Deloitte, a business of great significance, to sit in front this report, because we wanted the independence to truly speak to what the market is like. Earlier this month, Deloitte released its Australian Mortgage Report 2018, based on a roundtable discussion and survey of some of the biggest decision makers in the mortgage industry, which found that the popularity of mortgage brokers among the public continues to defy media criticism and ongoing scrutiny. The MFAA has also recently launched a major marketing campaign across the country to promote the value of brokers to the general public, with the FBAA also taking steps to hit out at some of the misreporting and “myths” about broking in the mainstream media. A new report into mortgage pricing has shown that a lack of transparency is stifling competition, with the heads of the broker associations highlighting that this presents a prime “opportunity” for brokers to help borrowers. The Australian Competition and Consumer Commission (ACCC) released the final report of its mortgage price inquiry on Tuesday (11 December), which monitored the prices charged by the five banks affected by the government’s major bank levy between 9 May 2017 and 30 June 2018. A main finding of the ACCC report was that new borrowers pay lower interest rates than existing borrowers. According to the ACCC, new borrower loans were, on average, up to 32 basis points lower than existing borrower loans (depending on the category of residential mortgage). This, it suggested, could be worth up to $1,000 per year for the average mortgage holder. Mr Sims therefore urged “more people to ask their lender whether they are getting the lowest possible interest rates for their residential mortgage and, as they do so, be ready to threaten to switch to another lender”. “I am afraid that the threat of switching banks will often be necessary to achieve a competitive mortgage rate,” he added. While mortgage brokers play an intrinsic part in finding an appropriate home loan for borrowers, the report touched on brokers only briefly, and this was largely in relation to how smaller lenders rely on the third-party channel for distribution. Speaking to The Adviser following the release of the report, Peter White, managing director of the Finance Brokers Association of Australia (FBAA), argued that while he appreciated that the report was focused on “transparency of how interest rates are priced”, he said that the findings marked an “opportunity for brokers to highlight that this is what brokers do – finding consumers a better deal”. Mr White told The Adviser: “I understand why mortgage brokers weren’t more profiled across the report because that is not how it was being positioned. Instead, it was looking at how the banks, and the majors in particular, actually create the pricing decisions on mortgages. Anecdotally, Mr White said that between 30 and 55 per cent of loans written by FBAA members were for renegotiation of a client’s loan with their existing bank. He said: “This saves borrowers money, because they not only can achieve a lower interest rate, but they also don’t have the costs of having to move their loan, which can include costs for things such as mortgage insurance, new valuations, legal fees, etc. Mr White concluded: “We see, once again, in the ACCC report that the banks are not being transparent about rates. And this was a theme that was raised in the royal commission, too. The Mortgage & Finance Association of Australia (MFAA) also welcomed the report, specifically noting that the ACCC recognised the competition driven by smaller lenders, which is supported by the mortgage broking channel. “As we have stated repeatedly in our responses to multiple regulatory reviews, from the ASIC Remuneration Review to this year’s royal commission, scrutiny on the financial services sector is entirely appropriate,” the MFAA said. “It is also appropriate for the mortgage broking industry – we are now systemically important to the Australian economy, given that mortgage brokers now originate more than 55 per cent of all home loans in Australia. “This is the reason the MFAA has supported industry reform and was instrumental in the formation of the Combined Industry Forum (CIF). The CIF has driven a broad range of reforms (in response to ASIC’s 2017 review), aimed at addressing potential conflicts which have allowed the industry to get ahead of the curve in seeking to continually improve the customer outcomes we are producing,” the association continued. However, the MFAA said it was “critical that unintended consequences are considered before any regulatory change is implemented”. The broker association highlighted a recent Deloitte Access Economics report, which found that the average broker earns $86,400 before tax, so “any significant reduction to commissions is likely to severely rationalise, if not decimate, the industry, as many brokers would not be able to continue to run their small businesses”. “The result would be devastating for smaller lenders, and therefore catastrophic for competition, choice and access to credit for consumers, compounding the fact that credit has already been tightened due to a range of other factors,” the MFAA said. It concluded: “The ACCC’s finding, that small lenders ‘are likely to be more vulnerable to future regulatory changes that affect the use of brokers as a distribution channel’, reflects exactly what the MFAA has been communicating to policymakers, Treasury, media and other stakeholders. In an economy devoid of mortgage brokers, most smaller lenders simply could not compete. Contact Geoff if you’re looking for a better home loan deal or if you have any lending needs. The country's falling property prices will stabilise next year before moving into a moderate growth phase, new research from Domain Group has predicted. Domain's first Property Price Forecast has modelled median house and unit prices in the capital cities to the end of 2020. Domain Group economist Trent Wiltshire said solid population growth, low unemployment and low interest rates underpin property price growth in the period to the end of 2020. "We think the market will correct itself in 2019, and then change gears into a cycle of modest growth into 2020," Mr Wiltshire told 9News. Domain predicts unit prices will be more resilient, in part due to stamp duty concessions in Sydney and Melbourne. Unit prices are expected to grow nationally by two percent in 2019 and three percent in 2020 after bottoming out to their 2016 levels early next year. Domain's forecasts are based on what the group believes is most likely to play out over the next two years. But it warns the positive forecasts could be thrown out by mortgage rates rising earlier than expected, slower population growth, forced selling by investors, and a slowdown in the Chinese economy. Labor's proposed changes to negative gearing, should it win next year's federal election, could weigh on house prices in long-term but may also provide a short-term boost. "I think for people looking to buy there's still some bargains to be had," Mr Wiltshire said. In Sydney, house prices are currently eight percent below their peak and will be close to unchanged to December 2019 before modest growth in 2020. "For Sydney, we're seeing house prices unchanged in 2019 and to grow by about four percent in 2020," Mr Wilshire said. The median house price should reach a low point of just over $1 million in mid-2019, a fall of about 12 percent from the peak of $1.2 million in June 2017. "On our forecast, the price falls for Melbourne and Sydney will be the biggest since the late 1980s," Mr Wiltshire said. Over the past four weekends, more than 1100 properties across the city have failed to sell at auction across Sydney. Mr Wiltshire said this combination of high supply and fewer buyers typically brings lower prices. For apartments, however, he said prices will continue to fall by an average three percent this year, and are expected to rise by the same amount next year and then a further five percent in 2020. There's some good news for Melbourne home owners following a turbulent twelve months for the city's property markets. After a nine percent fall in house prices this year, the Domain research shows a further decline of about one percent next year, before growing by around four percent in 2020. "That's probably driven by things like the royal commission, and tighter bank lending standards playing out into 2019," Mr Wiltshire said. The house market peaked at the median price of $910,000 in December last year, with Domain's report forecasting it will bottom out just above $800,000 in mid-2019; a level equivalent to late 2016. Unit prices are expected to grow by about one percent in 2019 and 2020, after a fall of up to two percent this year. Thanks to a slow down in construction and a strong population growth, Domain said Brisbane median house prices should rise by four percent in 2019 and five percent in 2010 after a flat year to date. The rise puts Brisbane right near the top of Australia's fastest growing markets. "For Brisbane, we see some of the strongest price growth in the nation over the next couple of years," Mr Wiltshire said. "That's a lot to do with people moving from New South Wales and Victoria to Queensland due to more affordable housing." After falling by about six percent this year, unit prices in Brisbane are also expected to grow over the period to the end of 2020. "We see a bit of a turn-around coming in 2019 after a few years of price falls, and we're predicting unit prices in Brisbane to increase by about three percent over the next couple of years," Mr Wiltshire said. Elsewhere in Queensland, some areas are already experiencing growth. In Caboolture, prices have grown by almost 10 percent in the last year and unit prices have jumped by 17.5 percent. Adelaide house prices will continue to rise steadily over the next two years. The Domain property report shows South Australia has performed well this year, compared to other mainland states. 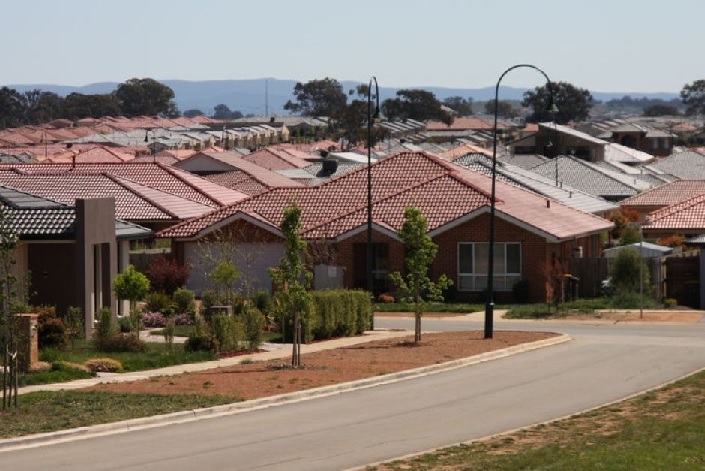 "We're seeing house and unit price growth to maintain at about two percent over 2019 and 2020 and this slow and steady growth is a continuation of what's been happening in the Adelaide market for the last few years," Mr Wiltshire said. Domain is cautious about Adelaide's population and employment growth. SA has fewer property investors, with two thirds of new bank loans being taken by owner-occupied homebuyers. For units, there has been a one percent price drop this year, but that's expected to turn around with a two percent rises in 2019 and 2020. Domain expects Perth house prices will grow faster than most other markets in 2019 and 2020 after falling in recent years. Prices are predicted to level out by early 2019 after falling 13 percent from the 2014 peak of $616,000, including a five percent fall this year. Prices will then grow by five percent in 2019 and another three percent in 2020, Domain predicts. Unit prices are expected to fall by about six percent in 2018, before growing by about two percent in each of 2019 and 2020. With prices falling in recent years after the end of the mining boom, Domain attributed the incoming growth to better economic conditions such as higher commodity prices and population growth. The Tasmanian capital is on track for the fastest growth in the country in 2018 at 12 percent. That would leave house prices 40 percent higher than the start of 2016, but Domain predicts the growth will slow to two percent over the next two years as mainland housing becomes better value for buyers. Unit prices in Hobart should remain stable in 2019 before seeing some modest growth in 2020. The research suggests house prices in the nation's capital will grow by about two percent in 2018 and then four percent in each of the next two years. Low unemployment and strong population growth underpins Domain's forecast for price appreciation. The forecast for unit prices in Canberra are more uncertain but Domain predicts slower growth than houses. Contact Geoff to discuss your lending needs. IS BUYING TO ‘FLIP’ STILL VIABLE IN TODAY’S MARKET? With the property boom of recent years and the popularity of TV renovation shows like The Block and House Rules, increasing numbers of Australians have been ‘buying to flip’ – buying a property, renovating it and selling it at a profit. 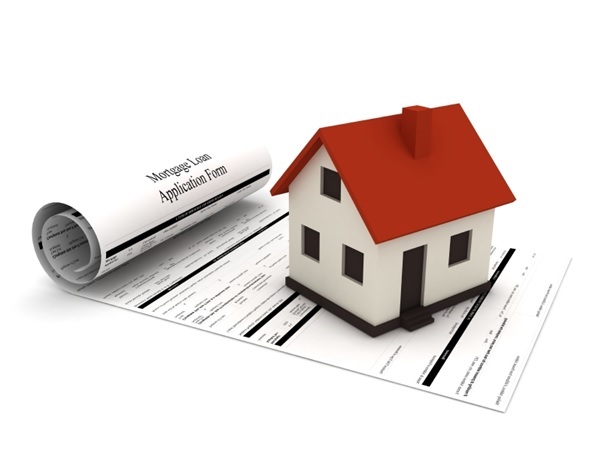 • consult a mortgage broker for the best finance arrangements. WHAT SHOULD POTENTIAL ‘FLIPPER’ BE AWARE OF? • What are the historical values for this property and others on this street? • How much can you spend before overcapitalising? • Is the property attractive to the demographic of the area? • Is the property structurally sound? • How long are properties sitting on the market for? • What is the area the property is in zoned for – one-level residential only or multi-level dwellings? You’ll also want to find out whether there is anything planned that could stimulate future demand. Are there any new developments – such as investments in infrastructure, or schools or shopping centres under construction – that could attract new people to the area and drive up property prices? Therefore, it makes sense to be in a strong financial position and be confident you can add value quickly and easily. WHAT ARE THE POTENTIAL RISKS IN BUYING TO FLIP? Property is typically a long-term investment. So, if you’re looking to make money on it in the short term, you’ll usually need to add value to the asset and benefit from a rapidly rising property market. In reality, the market can cool quickly if changes to lending policies or higher interest rates come into play. These factors can be hard to predict. If you need to make a sale and your property sits on the market longer than expected, it’s perceived value can erode with each passing day. Clearly you want your renovation completed as quickly and efficiently as possible, but sometimes there can be costly and time-consuming surprises to address. One way to limit this is by getting a comprehensive pest and building inspection. Unfortunately, you usually won’t add value through remedial work; buyers will pay a premium for lifestyle and aspiration – less so for a new roof! Flippers need to consider whether simple cosmetic improvements and good styling will be enough to entice buyers. Will a paint job, new flooring, stylish lighting, a kitchen and bathroom refresh, and some garden work be enough to showcase the property and its lifestyle potential? As with any project, funding is what will keep it afloat. How will you cover all the costs you incur? Will you be financially stretched to achieve your goals for the property? And can you afford to hold onto it if you can’t sell it for what you’d like? Another consideration is Capital Gains Tax (CGT). Given this will be payable on any profit you make, it may make sense to consider strategies to minimise the amount payable. These could include holding the property for at least one year to access a 50 per cent CGT discount, or selling in a low-income financial year. For more information on this, you may want to seek independent tax advice from an appropriately-qualified professional. Getting quotes from tradespeople to fully cost out the work is key to planning a renovation and running a project to budget. It may also be more efficient to get professionals to carry out the work, rather than trying to be the expert in all areas. Likewise, it makes good sense to consult a mortgage broker experienced in financing buy-to-flip acquisitions. This will help you get the right loan for your needs – such as one that offers a honeymoon period of lower repayments at the start of the loan. Getting the right loan in place can help set you up for success! New government regulations mean interest-only loans are on the decline. Given the changes, it may be time to reconsider your own loan structure. Rewind a few years and many people would have confidently assured you that an interest-only loan – a home loan on which you only have to make interest payments for a set period of time – was the way to go. Its benefits were clear to many owner-occupiers and investors. For those buying their first home, for instance, it provided an opportunity to get on top of the initial costs of buying a place before they were hit with the full force of principal and interest (P&I) repayments. For those investing in property, it was a great chance to get a tax break, without tying up all their funds in the one asset. In early 2017, however, the Australian Prudential Regulation Authority (APRA) put a cap on the number of interest-only home loans banks could offer, down to 30 per cent of all new mortgage lending. As a result, competition intensified and interest-only rates jumped well past P&I rates. Since then, far fewer people have taken up interest-only loans while a growing number have made the switch to P&I mortgages – whether or not their interest-only period had officially ended. As a result, the stock of interest-only loans in total housing credit declined noticeably over the past year, from close to 40 per cent of all loans to almost 30 per cent. This represented a $75 billion reduction in interest-only loans from about $600 billion in late 2016. It’s not surprising that a significant portion of the Australian population has swapped from interest-only loans given the interest rate differential. But it’s not the only reason to rethink your options. Your total interest bill - It’s worth considering the interest you’ll pay over the life of the loan. The longer you wait to chip away at that principal, the more interest you’ll be paying in the long run. For instance, a $450,000 loan over 25 years with an interest rate of 5 per cent could see you paying an extra $36,055 in interest if you took out an interest-only loan for the first five years. Go for low - Today’s interest rates are very low – for now. Why not take the opportunity to reduce your mortgage before its hit by higher rates? Build equity - If the housing market takes a dip, you risk being left with little to no equity in your home. That leaves you vulnerable to losing your family home. Know your budget - Can you afford your repayments over the long term? Inevitably the interest-only period will end and you’ll be faced with paying the principal and interest. Plus, with less time to pay it off, your repayments are likely to be quite a bit higher. Save today - It may be that you’ve got used to having the additional cash, spending it on a mix of day-to-day necessities and luxuries instead of investing it or paying down debt. That might leave you ill-equipped to handle higher repayments and worse off in the long run. Avoid a fire sale - Come 2020, about two-thirds of interest-only loans are due to expire. While the Reserve Bank of Australia plays down the effect this will have on Australia’s economy, it does acknowledge that some of these borrowers may experience genuine difficulties in meeting their higher repayments and as a result will be forced to sell. That’s not a situation any owner-occupier wants to be in – especially as a good number of other people will be forced to sell at the same time. Contact Geoff to discuss any of your lending needs. WHEN IS THE BEST TIME FOR BORROWERS TO FIX THEIR INTEREST RATE? Borrowers unsure on whether to lock in their interest rate should be reviewing their mortgage now as more rock-bottom fixed-rate deals appear. 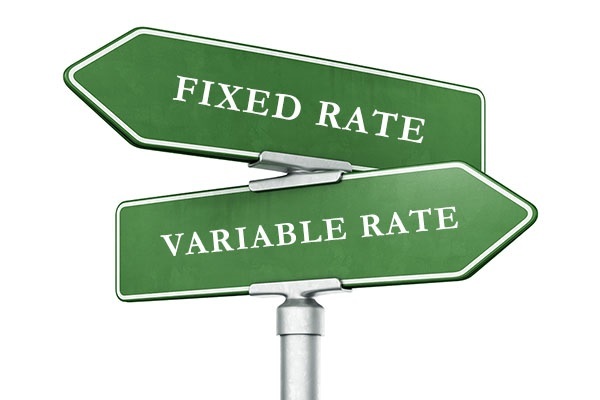 Variable rates are still cheaper than the best three-year fixed rate terms available but customers need to be prepared for rate rises at any moment. In the past few weeks Westpac, ANZ and the Commonwealth Bank have all pushed up their variable rate deals. New analysis by financial services firm Canstar has revealed for a borrower with a $300,000 30-year home loan deal the lowest variable rate deal is 3.44 per cent. This compares to the cheapest three-year fixed rate at 3.69 per cent. “On an average loan of $300,000 over 30 years the difference between the highest and lowest three-year fixed rate offers can be as much as $240 per month or close to an extra $3000 per year,” he said. Three-year fixed rates are typically a popular term for borrowers to lock in their rate. The Reserve Bank of Australia has failed to move the cash rate from 1.5 per cent since August 2016 but despite this lenders are still moving rates up and down as they please. So for borrowers looking for security against rising rates fixing is a good option or alternatively borrowers can lock in a portion of their loan. However there are break costs if a customer is looking to break the loan early, for example if they need to refinance or selling up. Aussie Home Loans’ chief executive officer James Symond said borrowers should definitely be reviewing their loan to see if now is the time to fix. “With interest rates edging up it is definitely worth borrowers inquiring about whether to fix part or all of their mortgages,” he said. “Fixed rates provide certainty of repayments so households can budget their monthly expenses accurately.” Mr Symond said he believes the next move for official interest rates will be up and borrowers need to be prepared for this. Contact Geoff if you wish to discuss fixing all or part of your home/investment loan or if you have any questions. Have you ever taken out a personal loan, owned a credit card or purchased an item on store credit? If you answered yes to any of these questions, chances are you have a credit report and credit history stored on file. The big question is: How does your credit file represent you as a potential borrower? We explain why it’s important to know what your credit file says about you. It will affect your chances of getting a good interest rate on your home loan, or even if you can get a mortgage at all. Your credit file details your financial history and outlines your previous dealings with credit providers, such as credit card companies, as well as listing late payments you may have made. It will contain information regarding all credit applications you have made in the past five years, any existing loans or outstanding debts, and default notices where payment has not been made in over 60 days. It will also contain fraud convictions and bankruptcy orders. When it comes to taking out a home loan, lenders will assess your credit file to determine your eligibility as a borrower. If you’ve ever missed a credit card repayment or let a phone bill slip, these minor instances may be recorded on your credit file. Although they may appear harmless, a credit file with multiple missed payments can say a lot about your credit habits and potentially limit the amount a lender is willing to offer you. It’s therefore essential to keep your credit file as squeaky clean as possible to maximise your chances of being approved for the loan you need. You can do this by making regular repayments on any loans and ensuring all bills – even the smallest ones – are paid on time. Setting up a direct debit arrangement might help. If you’re concerned about the health of your credit file, you can request a free copy from www.mycreditfile.com.au. If you do have a bad credit rating or a missed or defaulted payment listed in your credit file, it’s best to try and deal with that before you start applying for home loans. The first thing you need to do is pay off your debt. Contact your financial institution and work out a payment plan, or if you have multiple debts, see what you can do about consolidating your debt. If you’re worried about not being able to pay off your debt, you should contact a financial counsellor or advisor. Notices on your credit file will remain there for five years, so it’s worth thinking about your finances sooner rather than later. A mortgage broker can talk to you about how your credit rating will impact your home loan. Talk to Geoff about finding the right home loan for you. Some, for example, might provide an annual market rent review but others might go to the next level and give you feedback on how you can optimise the rental income on your interstate investment. Not all property managers will be as effective at managing the property or screening tenants - while others could be better qualified and so the fee they charge for their services could vary. A buyer's agent is one potential fix, but it's costly to pay a buyer’s agent to tell you a property is potentially a poor investment once, let alone several times. Likewise, it's expensive to make the discovery yourself after you shell out for flights and associated travel expenses, so it pays to research the property and area as diligently as possible prior to undertaking closer physical checks. To decide if interstate property is a suitable investment for you, it's worthwhile consulting with a finance broker about the considerations to be mindful of before applying for finance. When you're confident you’ve identified a suitable interstate investment property, a broker will be on hand to support you to get an appropriate loan for your needs.